WASHINGTON, DC, February 2, 2015 (ENS) – Oil companies have eyed the Arctic for years. With an estimated 90 billion barrels of oil lying north of the Arctic Circle, the circumpolar north is one of the last parts of the globe that is still almost entirely unexplored. That had companies moving north – Royal Dutch Shell off the coast of Alaska, Statoil in the Norwegian Arctic, and ExxonMobil in conjunction with Russia’s Rosneft in the Russian far north. But tapping the Arctic’s extensive oil reserves has been much harder than previously thought. Shell’s mishaps have been well-documented. The Anglo-Dutch company failed to achieve permits on time, had its drill ships run aground, and saw its oil spill containment dome “crushed like a beer can” during testing. That delayed drilling for several consecutive years. However, the first month of 2015 has darkened Arctic dreams even further. Oil company executives are trying to figure out how to deal with a collapse in oil prices, now below US$50 per barrel. With virtually every upstream company around the world slashing spending, it is the highest-cost and riskiest projects that are getting scrapped first. Statoil, the semi-state-owned oil company from Norway, has been an offshore leader and Arctic pioneer. After watching Shell fumble its Arctic campaign, Statoil put its drilling plans off the coast of Alaska on ice. But now with rock-bottom oil prices, Statoil has even shelved Arctic drilling plans in its own backyard. Bloomberg News reported on January 29 that Statoil does not plan on drilling in the Barents Sea this year. It has also let several Arctic exploration licenses off the coast of Greenland expire. 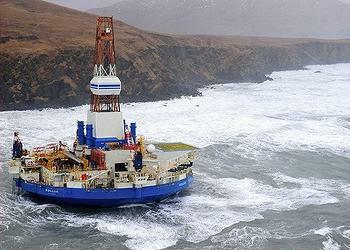 In December, Chevron suspended its drilling plans in Canada’s Arctic indefinitely. In Russia, Arctic dreams are also going to disappoint, although for different reasons. Last year, Rosneft – operating in conjunction with ExxonMobil – announced a major discovery in the Kara Sea. Rosneft’s Igor Sechin said that the field could hold as much as 730 million barrels of oil. “This is our united victory, it was achieved thanks to our friends and partners from ExxonMobil, Nord Atlantic Drilling, Schlumberger, Halliburton, Weatherford, Baker, Trendsetter, FMC,” Sechin said in a statement. “We would like to name this field Pobeda,” he said, using the Russian word for victory. Reuters reported on January 30, that Rosneft would have to delay drilling until 2016 at the earliest. “There will be no drilling in 2015. There is no platform and it is too late to get one. The project was initially created for Exxon’s platform,” a Rosneft source told Reuters. ExxonMobil has already pulled its platform out, and has it under contract until July 2016. 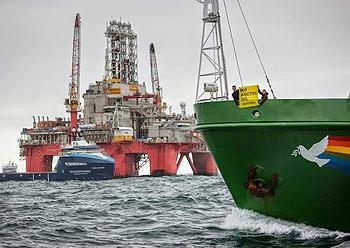 Drilling may not begin for another year or two, and production from the world’s most northerly oil field will not begin until sometime in the 2020’s, barring other setbacks. That leaves Shell, the company with the spottiest Arctic record. Shell announced $4.16 billion in fourth quarter profits, a decline from the previous quarter, but a decent showing relative to its peers. Nevertheless, the company also announced $15 billion in spending cuts over the next several years. “The macro environment has moved against us,” said Royal Dutch Shell CEO Ben van Beurden after releasing the quarterly figures. Yet even amid all the spending reductions, Shell hopes to once again return the Arctic, after a two-year hiatus. That may be because of the sunk costs. Shell will spend around $1 billion on its Arctic program whether or not drilling takes place because of all the ships and other logistics already under contract. Shell still needs to obtain several permits and clear legal hurdles, but if all goes according to plan, the company could begin drilling this summer. It is up to Shell then to keep the oil industry’s Arctic dreams alive.